As you dig out your heavy coat and boots, remember another part of smart preparations for winter: learning your route’s snow plan! While it doesn’t happen often, in the case of extreme winter weather, Metro Transit may detour buses on a route-by-route basis to keep customers safe. Be prepared by knowing your route’s snow detour in advance. 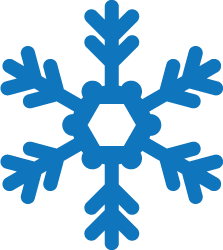 When buses are delayed from major snow events, its easy to see when your next bus is coming with our “Show My Bus” feature in NexTrip! If using Metro Transit's app, go to the menu and select Trip Tools, then NexTrip. Use the Find Me feature or enter the route, direction of travel and stop. If you already know your stop number, simply enter it here. When NexTrip details appear, a link to “Show My Bus” will appear at the bottom of the screen. Visit metrotransit.org/snow for a list of snow detours and to get smart winter riding tips.